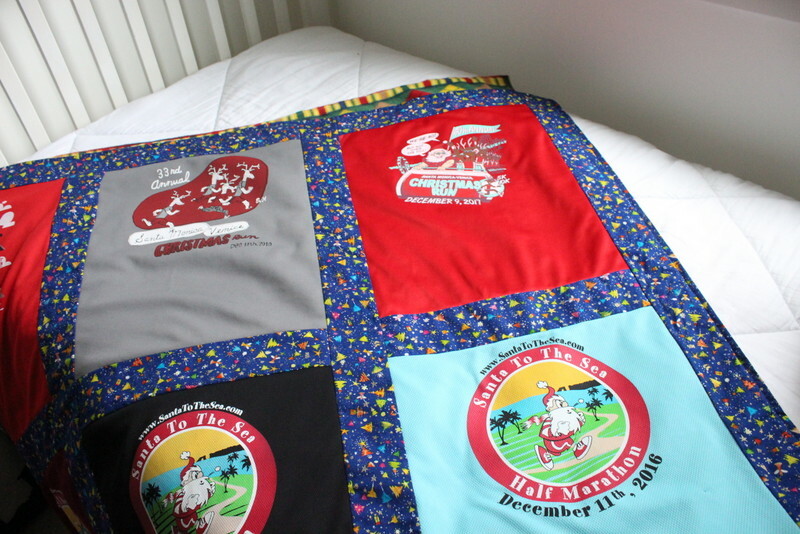 This is a 12 block T Shirt Quilt for a runner! 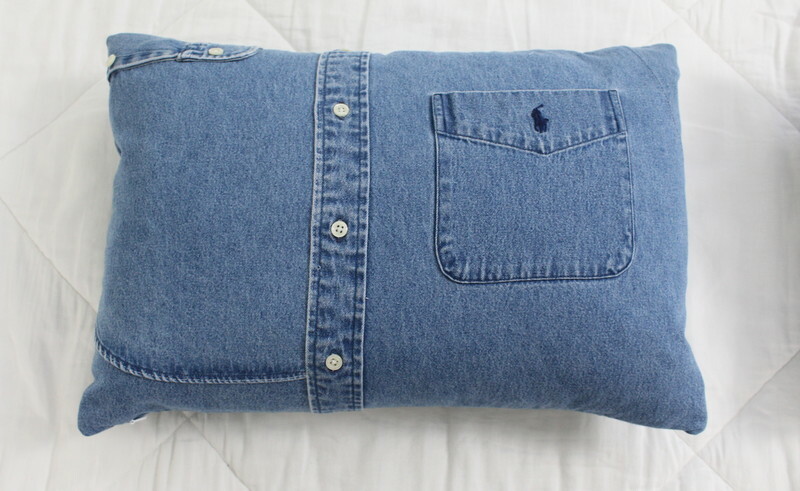 She is tall so I used rectangles rather than squares. 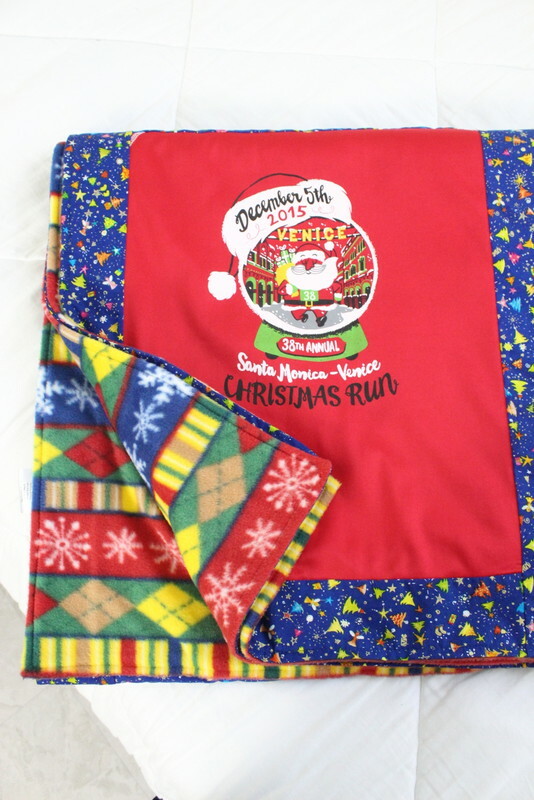 She sent 12 Christmas runs to make a holiday blanket. 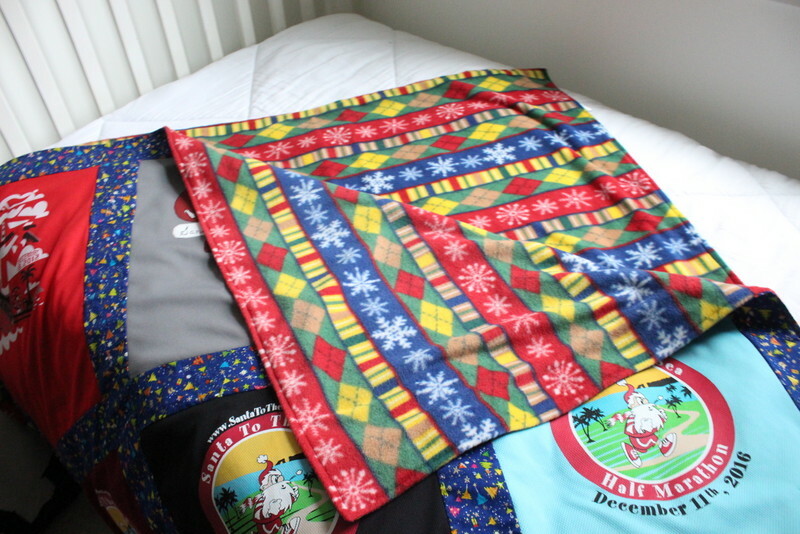 She selected the backing fleece because it reminded her a bit of “ugly sweater” and the blue sashing fabric is simply fun. 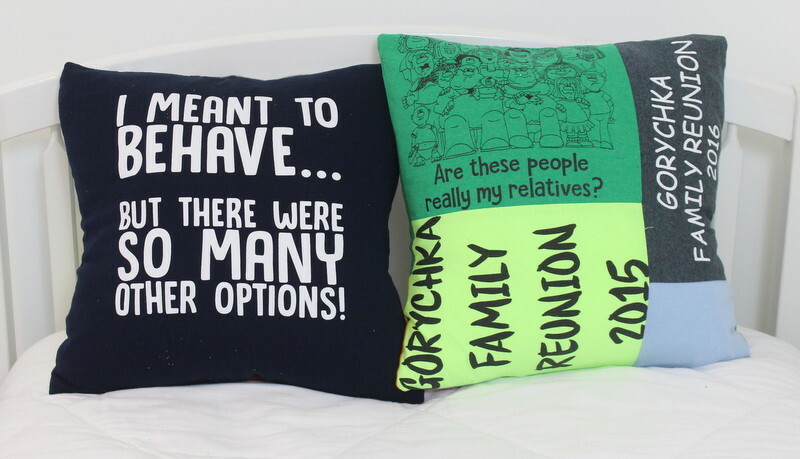 Here, my client sent a number of family reunion shirts and I created two pillows that she will use for a family gift exchange! 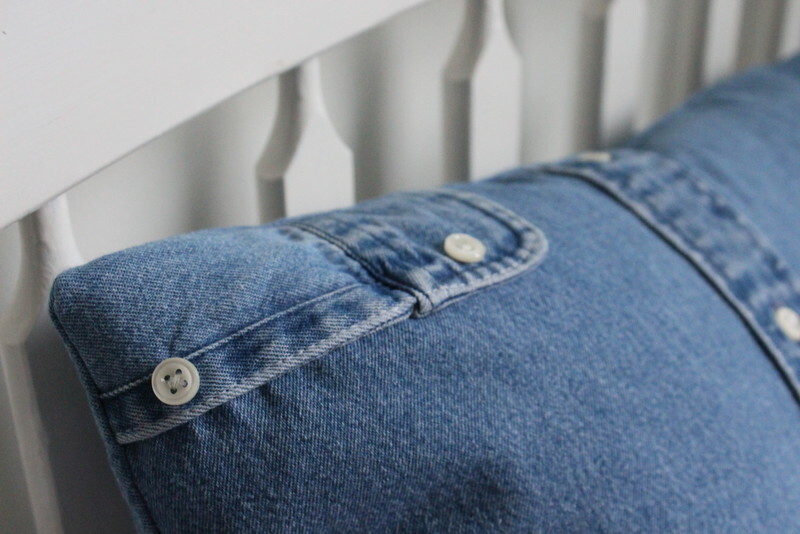 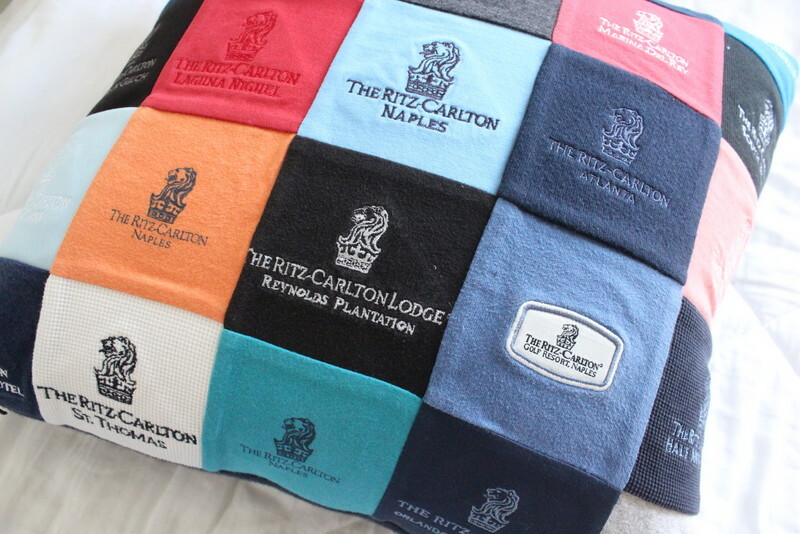 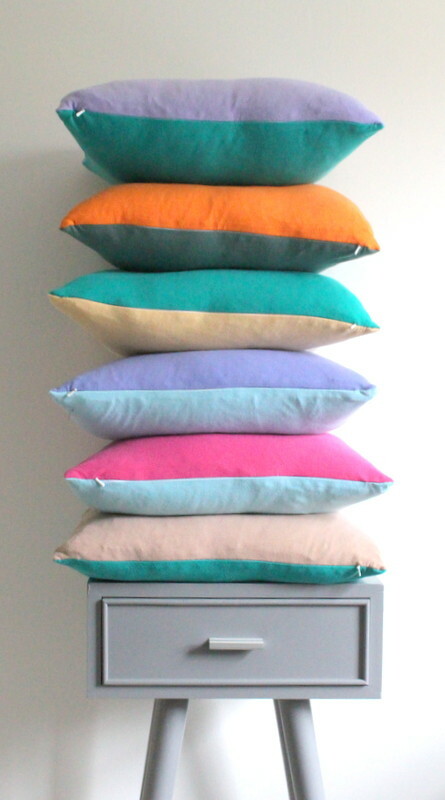 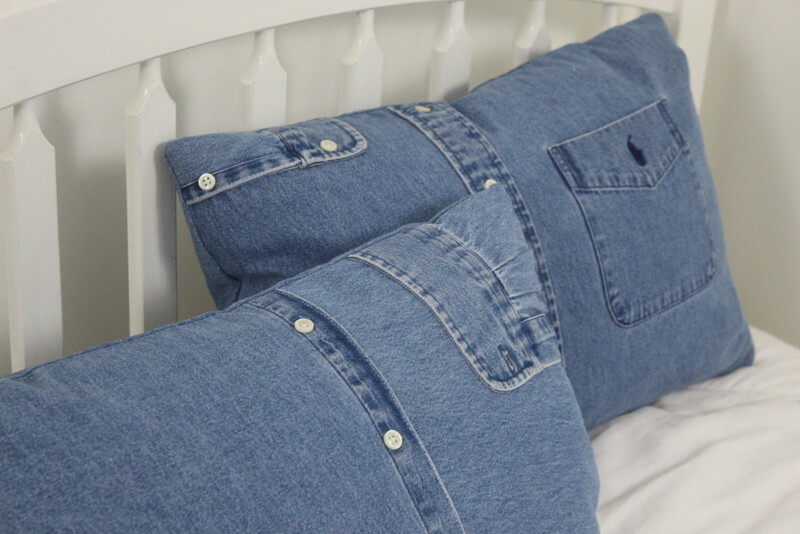 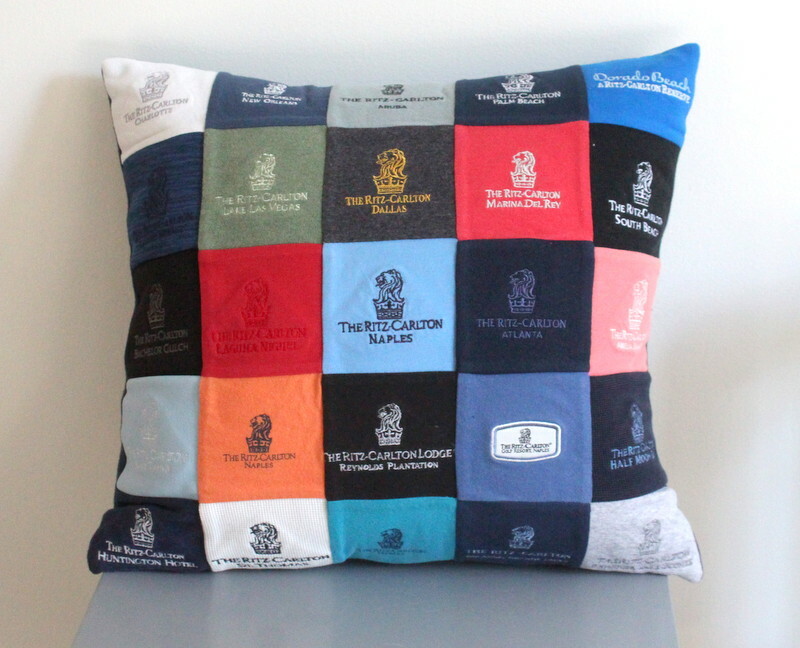 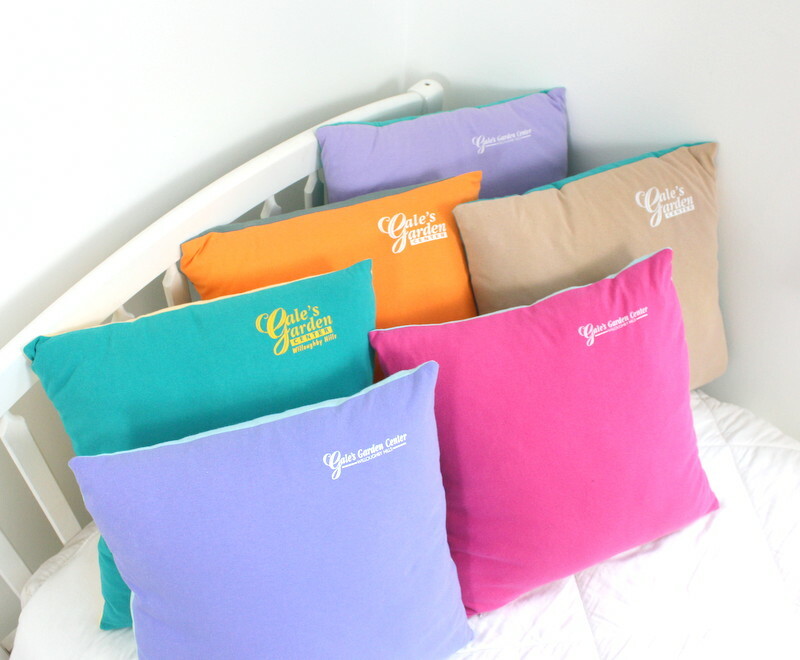 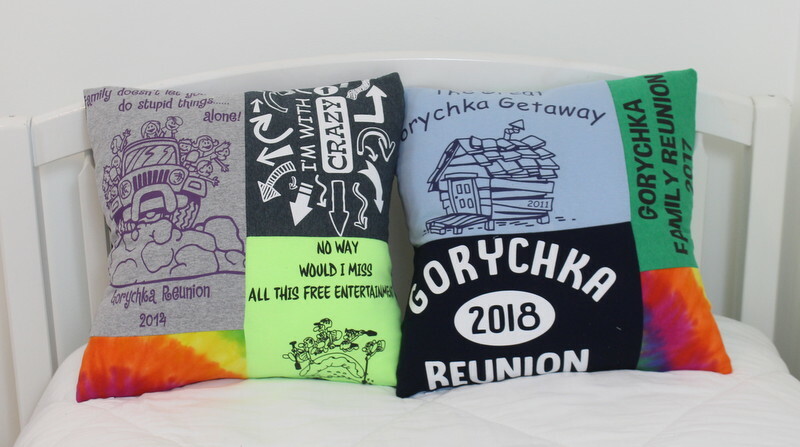 A collection of t shirt pillows.